Are you a fan of Star Wars and storytelling? 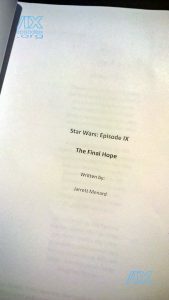 Well, our small, merry band here at EpisodeIX.org sure are! Although we were among those left sadly disappointed by “Star Wars: The Last Jedi”, it did however inspire our vision of an Episode IX. A vision that we feel brings the final trilogy in the Skywalker Saga together in a natural and rewarding conclusion for these beloved characters; giving them the fitting sendoff that they all deserve. 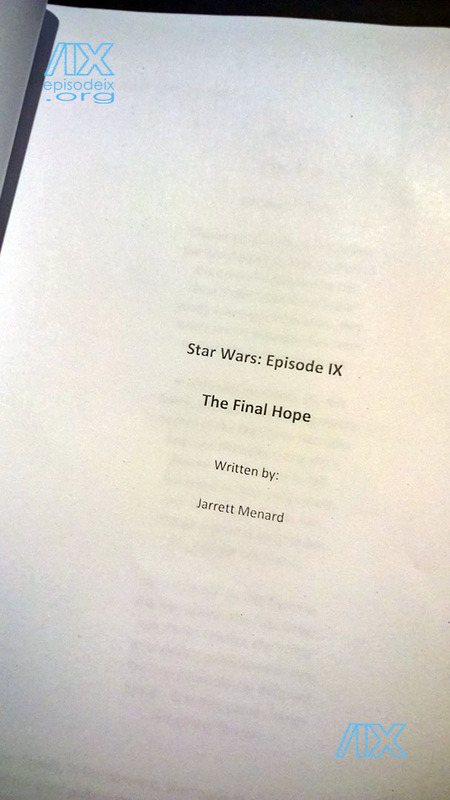 Not trying to replace the official Episode IX in any way, we just hope to offer a rewarding alternate take on another way the story could have ended. We’ve decided to present our tale in a vintage radio drama format from “A long time ago”, to be released over the course of a dozen podcasts. You just experienced the teaser of our opening crawl on your way here to the main page, (if a search engine brought you here and you missed it, click here). The complete feature-length presentation will be revealed on Twitch and YouTube during the 2019 Extra Life event, which raises donations to benefit Children’s Miracle Network Hospitals, with a preview being released later on this year. To learn more, please check out the About link at the top of the site. We are excited to share this wonderful story with everyone and have you join us on our journey. Our hope is that through the simple yet elegant format of a classic radio drama people will be able to experience our version of this final chapter in a very personal and intimate way that will resonate with them. To stay in the loop, please sign up for our newsletter, The Commlink, and we’ll send you small updates every 4-6 weeks. 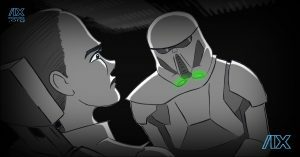 Also, we’re currently seeking sound-alike voice actors and storyboard artists, so if you’re interested in signing up, please let us know! Thanks again for visiting. We’ve got a wild ride ahead; putting together a radio drama ain’t like dusting crops, boy! You read the words, now see the picture! Today I’m excited to share with you all another amazing visual from my good friend and our /IX Art Director, Pete Paquette! 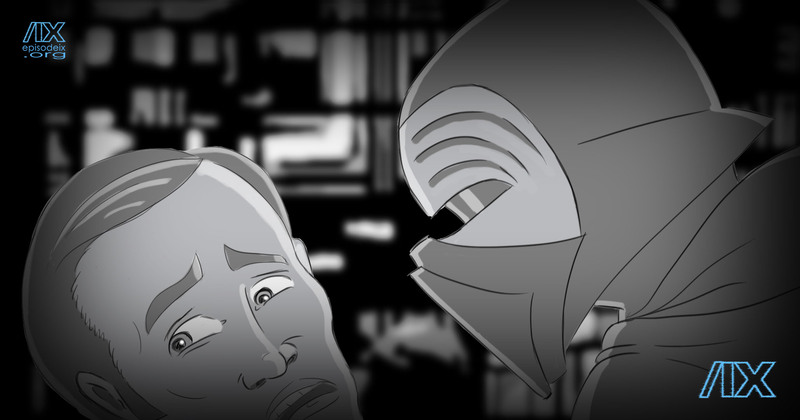 Somewhere on our website is a snippet of a script page that reveals a moment of dialog between Rey and a Death Trooper. Have you found it? Be sure to seek it out if you haven’t, and then when you do, reflect back on the artwork below which encapsulates the moments of that scene! What do you think? Does it give you a better feel for the tension of the scene? Or does it create more questions then answers? Let us know your thoughts in the comments below, and as always, thanks for coming along with us on our journey. First act sneak peek in-person presentation coming, and a shout-out for voice talent! Hey, you! Yes you, dear reader! Do you happen to live in Northern Massachusetts or Southern New Hampshire? Well, if so, you may be interested to know that we’ll be doing an evening demo presentation of the first act of our Radio Drama at some of the local libraries in the Massachusetts Middlesex County area, and you’re invited to join us! I say demo because this is more of a test-shot type of a showing we’re planning. The music is a mix of John William’s original scores and Tim’s incomplete original compositions, whereas the finished project will be solely Tim’s score. The reading itself is planned to be solely by yours truly, which won’t be the case in the finished product. And Pete is hurriedly working on trying to get a few images for us that he’s satisfied with to give a bit of a visual background to the whole thing as well. Once we have the locations, dates, and times finalized, we’ll be sure to post them all up here on the website. I’m putting the news out there a bit early (we’re still a few weeks out), because I thought this would be a great opportunity for me to remind folks again that if they themselves, or if they know of anyone, who does a great vocal impression of any of the Star Wars cast, past or present, to please be sure to reach out to us at our Contact Us page as we are actively seeking voice talent for the project! We’ve been having a great time putting this together, and we look forward to sharing that fun with more fans such as yourself or someone you know who might be interested in lending their talents to an exciting project for a great cause. Happy 41st Birthday, Star Wars! 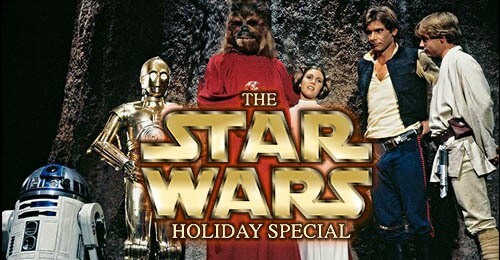 “The Star Wars” was released on this date, May 25, 41 years ago in 1977. A movie made on a shoe-string budget went on to make a billionaire out of its creator and billions of dollars each year in merchandise from its millions of devoted fans worldwide. If the movie bombed in theaters those 41 years ago, you wouldn’t be reading this right now as this website wouldn’t even exist. “Whoa. That’s heavy.” Wait a tic, that’s the wrong franchise…. Today, we have something we’d like to share with you, but I wanted to make sure we were all signed off on it, so check back to this post soon as I will edit it once the “green light” is given.